By any standards, it was an extraordinary case of a nightmare come true: the dentist who coldly and deliberately hurt his patients in order to extract the maximum amount of money from them. At the beginning of his trial in the town of Nevers (famous for containing the body of Saint Bernadette of Lourdes), the former practising dentist admitted responsibility, possibly in the hope that the sentence wouldn’t be too heavy but in the end, the punishment sought by the public prosecutor was awarded. At the beginning of his ten-day trial, the unassuming-looking 51-year-old with a puffy face and salt-and-pepper hair stepped into the witness box and scanned the assembled room. When asked by the judge what his profession was, he answered “Dentist” in unfaltering French, before declaring himself to be “responsible” for the deeds of which he was accused. During cross-examination, he repeatedly replied that he “couldn’t recall” when pressed on a number of details based on depositions by the plaintiffs. When the female prosecutor queried him on his apparently faulty memory, Van Nierop replied: “I was in a psychic situation where I had no interest in the people around me.” He continued, saying that he “lost all interest in people around 2002 and 2003” following the death of his first wife. In the little town of Château-Chinon in the Nièvre department in central France, Van Nierop’s appointment in 2008 was viewed as a God-send by its inhabitants. The dentist quickly established a reputation for living it up, however; carrying out major works on the house and regular stays in 5-star hotels. But irregularities with his invoicing soon alerted the attentions of the ever-vigilant French social security services, as the complaints from patients began to mount up. On the 7th of June 2013, the Dutchman was placed formally arrested and questioned by the police. In December of that same year, his girlfriend said that he had disappeared from their home and an international arrest warrant was duly issued. On foot of this, he was finally picked in Canada in September 2014 and extradited back to France. A former female colleague confirmed during the hearing that the objective of the public-service dentist was “to make money”. “Do you like money?” the judge asked the dentist. “No comment,” replied Van Nierop, who acknowledged that he carried out certain acts on patients that didn’t correspond with the “rules of the art”. After ten days of deliberation, the jury returned with a unanimous guilty verdict of “violence against vulnerable persons and fraud”. Van Nierop was sentenced at the court in Nevers last week to eight years in prison and a lifetime ban on practising as a dentist. The sentence allowed for the extraction of damages by the victims in further cases. 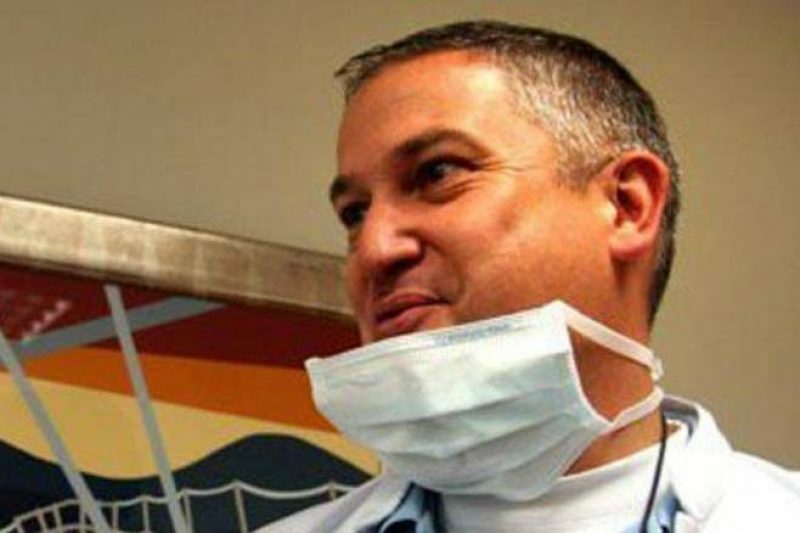 Between 2009 and 2012, while practising as a public-service dentist in Château-Chinon, he mutilated and robbed one hundred or so patients. Many of his victims have suffered from serious dental problems ever since and have not yet received any compensation for their expense. During the trial, the prosecutor Lucile Jaillon-Bru had been seeking the eight-year sentence for the “health disaster” caused by the 51-year-old Dutch national, instigator of “acts of violence whose ultimate objective was to extract money” above and beyond the health insurance pay-outs. When the sentence was announced, the “Dentiste de l’horreur” remained emotionless, just as he did throughout the trial. He is unlikely to appeal the sentence, which opens the door for his victims to seek compensation under a series of civil cases that will surely follow.